I never tire of seeing canals and narrowboats. Est-ce que des gens habitent sur ces bateaux ? Bill Phillips: Many are used for holidays but there are some lived on all year round. You live in the right area to get your rocks off at will, Bill. I love these narrow boats Bill! Bill Phillips: Great aren't they? Like you I never tire ... and so typically English! A wonderful photo! They could have simply pumped the brine into the canal instead of water, thereby avoiding the need to use boats Bill. Me neither. 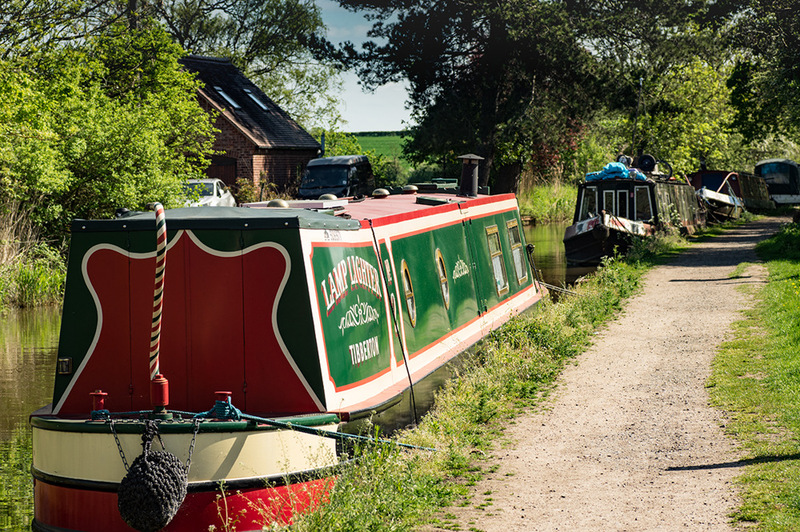 I always fancied doing a canal boat holiday but have yet to do that. Bill Phillips: I don't fancy a boat holiday and Ange wouldn't at any price! I feel I have seen lamplighter before - perhaps in one of your photos or maybe they ventured down our way. Fine photo nonetheless. ImAgine never having to mow your lawn! A real part of England I always think. We have several within a short drive of us. Bill Phillips: Indeed you do. Having seen this one restored makes it a bit special. A great country scene, it looks a well kept canal way. There is something distinctly charming and English about these!